Many keen gardeners are also pet owners so it pays to be aware of what plants may be poisonous to your pet. Many dogs and cats are mischievous and will nibble or chew on anything that takes their fancy. They often think anything they find in the garden is theirs by default and treat it as they would a bone. This might just happen to be some bulbs or rhizomes that have just been dug up. So if kitty starts looking interested in those lillium bulbs that were recently dug up, be sure to put them out of reach because the toxins they contain will wreak havoc with a cat’s kidneys. Lillium bulbs are not the only culprits to hide a poisonous substance. Irises, lily-of-the-valley and agapanthus are the same. The thought of their hidden poison need not prevent the gardener growing these plants though. Cats don’t dig up these plants to chew on the bulbs, though dogs might. The main reason cats dig in the garden is to go to the toilet, so providing a special box and kitty litter will prevent this problem. The problem may only come about if the bulbs are dug up and left in the garden or somewhere that a mischievous kitty could find them. Don’t leave them lying in the garden, but keep them in a box or container that a cat cannot get into. Dogs are affected by a different range of plants appropriately called dogbanes. The poison in these plants is in the sap, so dogbanes should not be grown when there is a dog that likes to chew in the household. So what plants belong to the dogbane family? Many of them are tropical plants with sweet perfumes and a long flowering time. Frangipani and the flowers from the mandevilla group such as oleanders, Brazilian jasmine, wintersweet and periwinkles are all poisonous to dogs. Daffodils, autumn crocus, lily-of-the-valley and gladioli are also baddies where dogs are concerned as are narcissus and tulips. With these, the poison is in the bulb, so if the dog is likely to dig in the garden and chew them, consider fencing off a separate run for him. 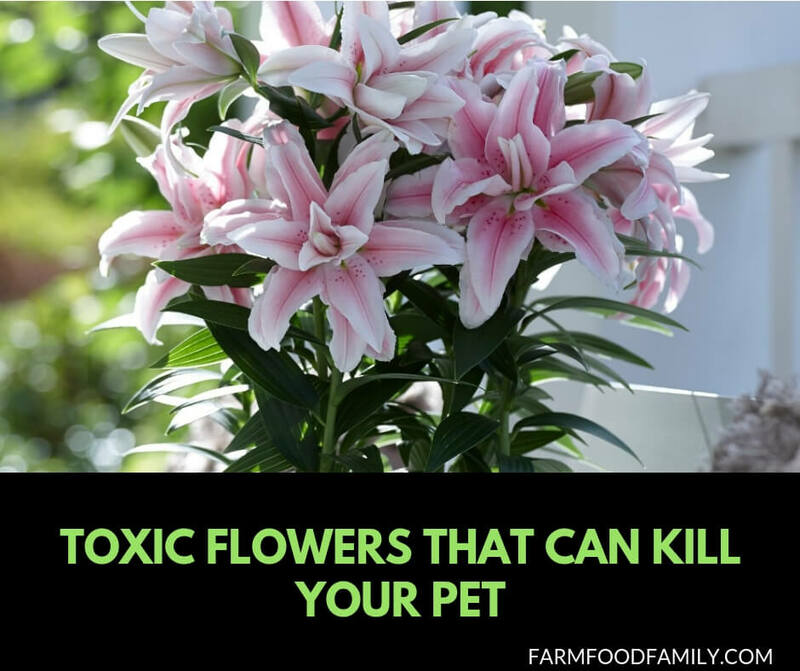 It is not only plants that grow in the tropics that are poisonous to dogs and cats, but some annuals or houseplants that grow in colder areas. Plants such as the Charming dieffenbachia, Christmas rose, Flamingo plant and foxgloves are extremely poisonous. The foxglove family in particular are extremely toxic. Cycads and Heavenly Bamboo – also known as nandina domestica – are also deadly plants to dogs if chewed. These are only a few poisonous plants; there are many more. But unless your dog is inclined to chew garden plants like some do, you need not be too worried. Most dogs don’t chew plants and some who do so as puppies grow out of the habit. It is only the owner of the dog or cat that is really mischievous in chewing plants that needs to take care what they plant in their garden. However, it is good to know about the possibility, and then if your pet or another animal is sick, you will know what to do. The poison in many of these plants causes intense irritation of the mouth and throat. Other symptoms may include vomiting, bloody diarrhoea, hyper salivation, loss of muscle control, depression, shock and organ damage. Some plant poisons cause cardiac arrhythmia and death. Not all plants cause all symptoms, but if your dog seems to be sick and has been digging in the garden, suspect poisoning from a plant. The best remedy for a dog or cat that has been poisoned is to call a vet. Tell them what plant the animal may have been chewing and they will then know what poison they are dealing with –m or will be able to find out. Taking a sample of vomit or stool with you to the vet may help him diagnose the poison. In most cases the vet will try and eliminate the poison quickly from the animal’s stomach. He can do this by making the dog vomit, then giving it milk or charcoal to help absorb the poison. An enema may also be given. If you cannot access a vet, then give your pet a 3% solution of household hydrogen peroxide. It should be given at the rate of one tablespoon per 10 lb body weight. This liquid can be given via a syringe such that used to baste a turkey. If your dog has not vomited within five minutes, wait another ten then give him a second dose. Never exceed this amount as too much can be poisonous in itself.